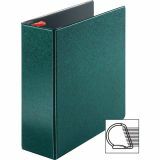 Cardinal Prestige Locking 4" 3-Ring Binder - Reference binder features a distinctive, embossed texture and two-tone cover material with contrasting, inside black lining. 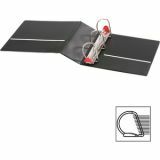 Slant-D locking rings with comfortable GelTab triggers hold up to 25 percent more pages than standard round rings, and are angled for smoother operation. 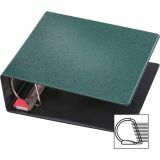 Back-mounted steel rings provide a clean, professional spine and reduce wear. 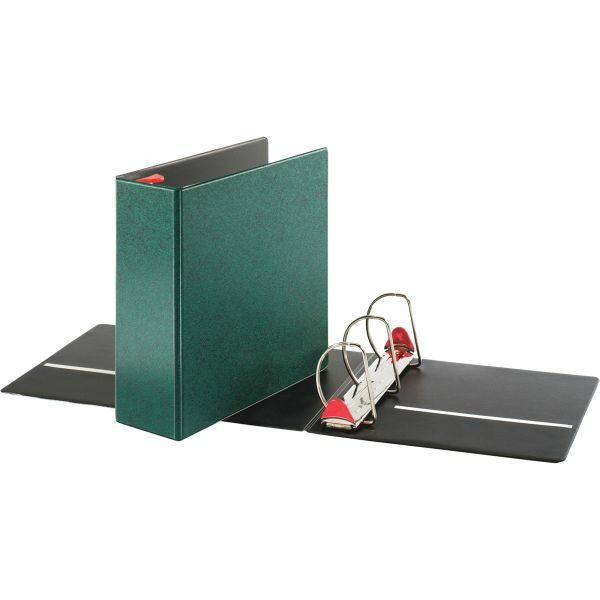 4 capacity holds up to 700 letter-size sheets. 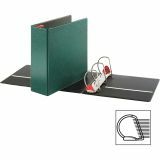 Binder also offers exposed rivets, a sturdy chipboard core, heavy-duty construction and inside front and back pockets to hold loose documents. Each pocket holds 40 sheets."